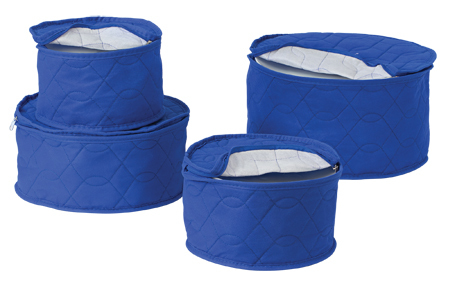 Soft, quilted protectors with zippered closures and cushioned dividers in this china storage set keep plates safe from chipping and scuffing. 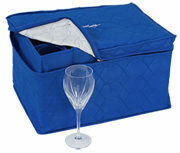 Protection for 48 plates. 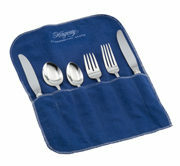 Accommodates 12 dinner plates, 12 salad plates, 12 dessert plates, and 12 saucers.